Residents gather for a baseball game after work. 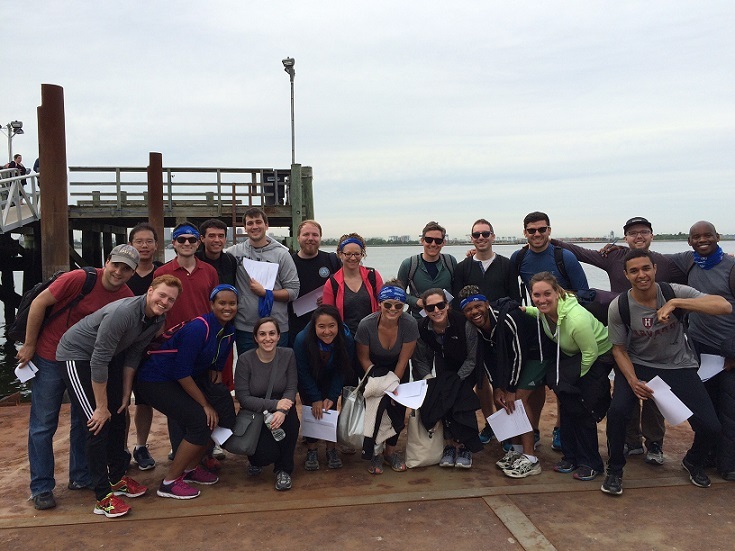 The Class of 2021 and training directors participate in a pre-internship Outward Bound retreat at Thompson’s Island. 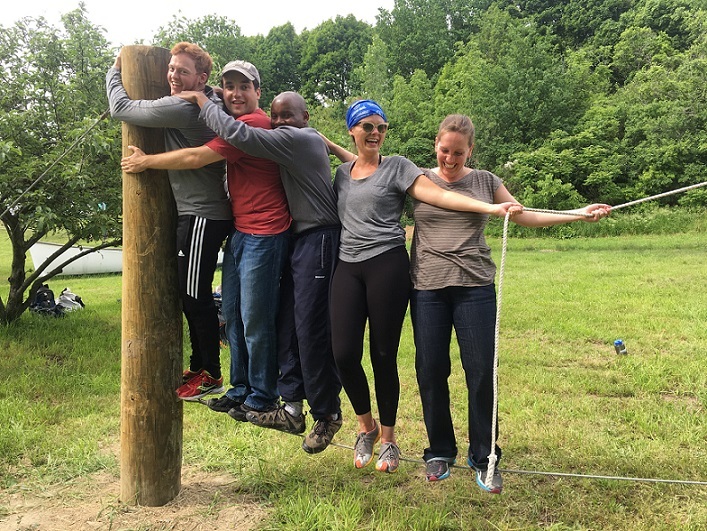 PGY1 residents and MGH Associate Program Director Charlotte Hogan tackle a challenge at the intern Outward Bound retreat. 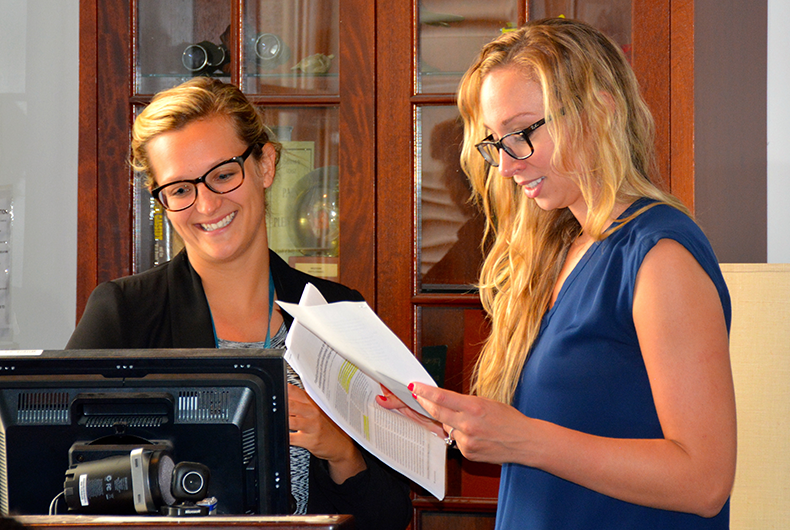 Residents from the Class of 2018 meet for a weekly educational didactic seminar in the Hackett Room at MGH. Residents from the Class of 2020 make new connections. Every year, 16 residents join our program, and 16 residents graduate. Our residents come from all over the United States and other countries. 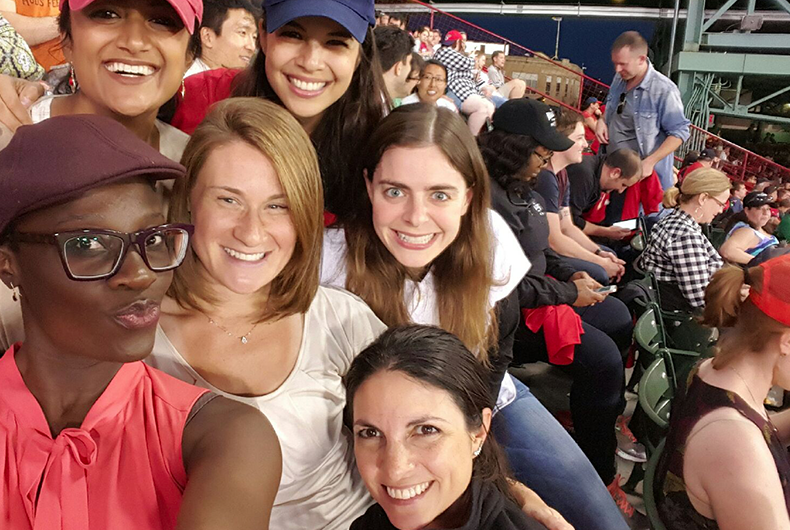 They represent a unique group of psychiatry residents in their talents, generosity, collegial spirit, curiosity, and desire to have fun while pursuing rigorous training. They come to MGH and McLean already with multiple degrees, world travel, research innovations, and community service. They bring an open and giving heart enthusiastic for clinical practice.They are ready team players and form an extraordinary bond with their classmates and fellow residents that lasts a lifetime of friendship and collegiality. Our residents will often comment that their favorite part of the MGH/McLean residency experience is the residents they get to share it with. 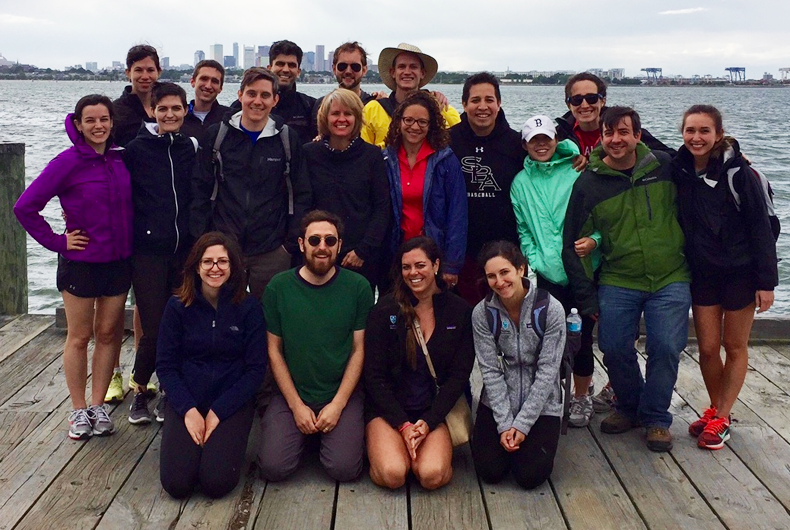 Nearly two thirds of each class stay in Boston, and we are continually enriched by their passion for psychiatry and contributions to our field. These pages hope to introduce you to who we are in hopes that our enthusiasm and commitment to psychiatry resonates with your own passion for our field. Mike Halassa (RCP Class of 2013), currently at NYU, will return as faculty to MIT in 2018. Welcome to the Newly Matched Class of 2021! The newest additions to the MGH-McLean training program will start in early June. In May, residency alum Evan Macosko, Class of 2014, published a landmark study using nanobeads to unravel neuronal diversity, work which he carried out during his time as a resident in the research concentration program. Welcome to the Newly Matched Class of 2019! Harvard Brain Initiative Scientist Directory is Live! Welcome to the Newly Matched Class of 2022! McLean Chief Scientific Officer and RCP senior advisor Kerry Ressler is featured along with Kay Tye in NOVA broadcast on the science and fun of fear. MGH and McLean Hospital are affiliates of Harvard Medical School.